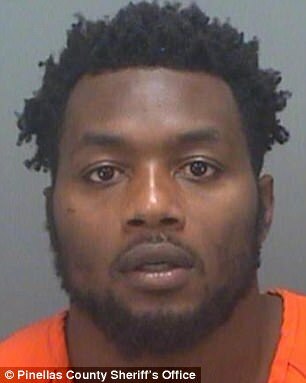 Jacksonville Jaguars defensive end Dante Fowler has been arrested in Florida on simple battery and criminal mischief charges. St. Petersburg police said in a news release that Fowler, 22, was arrested Tuesday after getting into a confrontation with a man who made a comment about his driving. An arrest report says Fowler exchanged words with the man before hitting him. The man’s glasses were knocked off and Fowler stepped on them before taking a grocery bag, which included liquor, from the man and tossing it in a lake. Police say the man wasn’t injured. 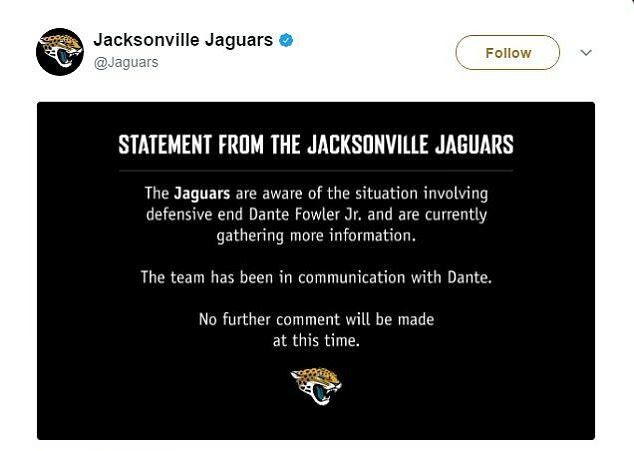 The Jaguars said in a statement they’re gathering more information. He was released from jail early Wednesday morning after paying a $650 bond, according to WFTS-TV. 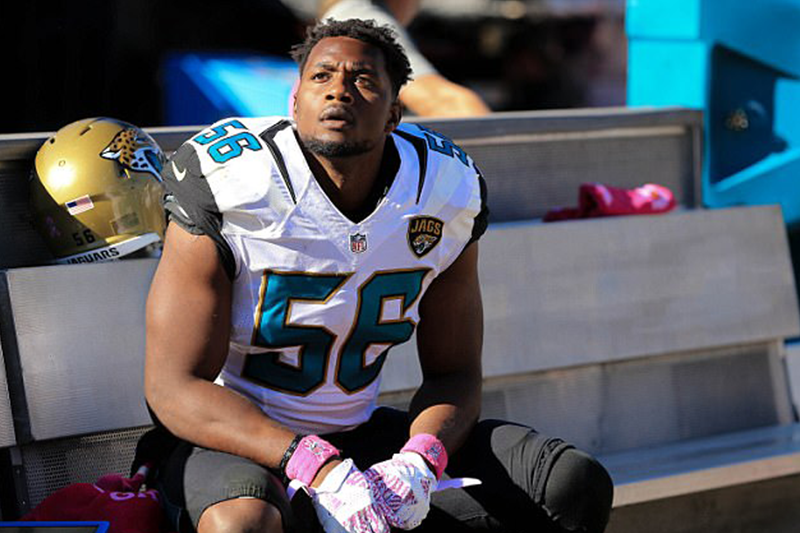 Fowler was the Jacksonville Jaguars’ top draft pick in 2015. He sustained a torn ACL in the team’s first rookie minicamp practice missed the 2015 season. Fowler became a professional after a stellar collegiate career at the University of Florida. He attended the school for two years, earning second-team All-Southeastern Conference honors in 2013 and first-team All-Southeastern Conference in 2014.